Ahead of qualifying for the race, it only takes two failed inspections to have you car chief ejected for the race weekend. Chase Elliott, Ty Dillon and Austin Dillon all suffered that penalty ahead of Daytona 500 qualifying. If a car fails post-race inspection, that car will be disqualified. The win will be removed from the record books and all benefits, prize money and the trophy will be stripped. Bowman is in his fourth year of competition in the Monster Energy NASCAR Cup Series. After 117 races, he’s as confused as ever when it comes to the NASCAR chassis setup. Dustin Long: Are you more invested as a driver in making sure everything’s ok? 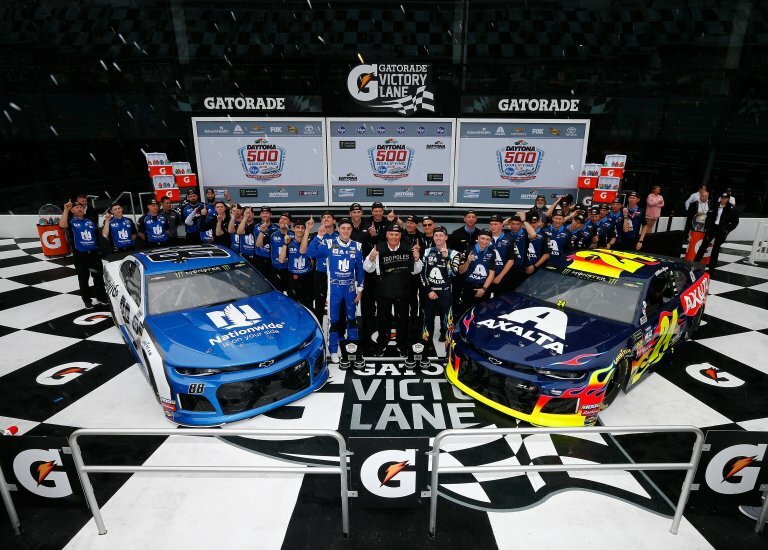 “I’m more focused on just getting that first win before I worry about if it’s going to go through tech or not,” Alex Bowman stated from the Daytona International Speedway media center. Alex Bowman went dirt midget racing over the NASCAR off-season. He built and hauled his own equipment to compete in high profile dirt racing events like the Chili Bowl Nationals. Bowman is set to start on the front row for Sunday’s Daytona 500 in the Monster Energy NASCAR Cup Series. He’ll start alongside his teammate of William Byron.